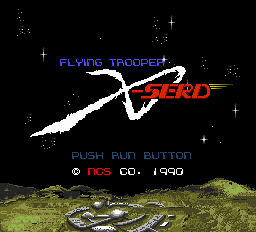 So, this here is a translation of a rather unknown PC-Engine game called Hisou Kihei XSERD (loosely translated as Flying Trooper XSERD) by Nebulous Translations. We decided to translate this game for a couple of reasons. Firstly, it’s a fairly decent prequel to a (perhaps) more well-known, at least in the west, game called Vixen 357, which came out on SMD in 1992. The gameplay is solid, the presentation is quite decent (especially the animations), and the plot is alright, if not original. Secondly, this is a game by Masaya – ’nuff said.  They’ve got a rather good track record as far as strategy games are concerned. Last, but not least, we translated Vixen 357 earlier this year, and so it prompted us to work on this game. Hiso Kihei Serd (aka Hiso Kihei X-Serd) is an SRPG game by Masaya. 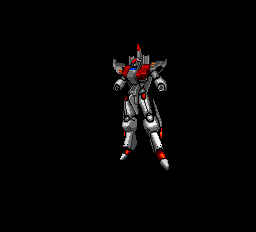 The game is similar to other robot/mech games by Masaya/NSC, such as Vixen 357 on Sega Mega Drive.At the end of the 24th century, humanity recovered from a devastative World War and humans started to colonize the galaxy. In 2384, unknown invaders attack the Jupiter base and finally reach Earth. 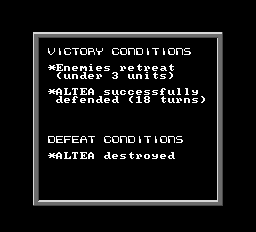 Although the Earth Federation has prepared a counter offensive, the chances of success are very slim. But the Asian Federation has a secret weapon, the SERD Squadron, and its mission is to find and destroy the invader’s bases and drive them out of Earth. Hiso Kihei Serd is a turn based war game at its core and in any given mission the player must deploy and control a number of Serd giant robots on an overhead map – each mech comes with its own characteristics, some are fast and have long-range attacks whereas others are bulkier, slower but use more powerful weaponry. When a fight between two opponents is triggered, the screen switches to an animated sequence. Each Serd gains experience in battle which may be used to enhance its attack and evasive capabilities. 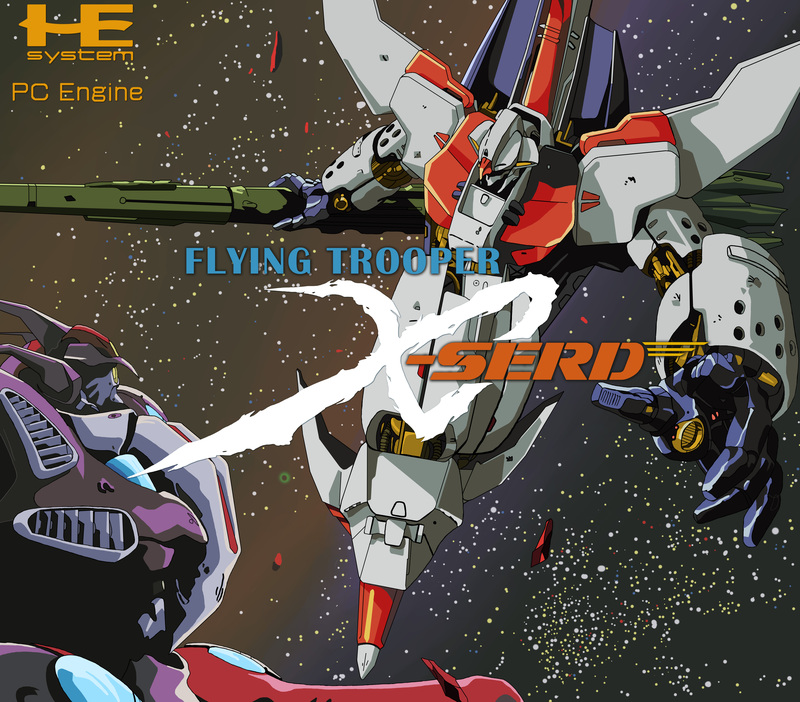 However, should one of the Serd be destroyed during a given mission, it is gone for good but more (up to seven) can be acquired as the game progresses. Hiso Kihei Serd consists of ten missions and is single player only. A password system also allows the player to save his progress (although the backup RAM can also be used). It is important to remember that some units possess a special ability, many of which can easily turn the tide of the battle. Using them wisely is a key to quick victory in later stages. Overall, this is an enjoyable game, and a prequel to Vixen 357. One can easily notice the similarities between these 2 games, and it’s easy to pick up one if you’ve ever played the other one at some point. Some names have special meanings. Jean Ebara is a popular commercial reference (to a sauce brand), whereas Masayoshi Iguro is a nod to Captain Iglo/Birdseye/Fidus, depending on where you’re from. Interestingly, Iguro appeared in Sol Bianca (a PC-Engine CD game by NCS), where he mentioned Ebara. Apparently Iguro saved Ebara at one point, during an earlier war. The game also has a hidden message. It is a song, possibly written by designer Hiroshi Minami, about Tsutomu Miyazaki, a Japanese serial killer whose crimes were the subject of widespread media attention around the time the game was released. 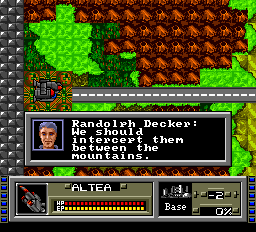 Game had a rather large amount of Engrish, for example “laser soad” instead of “laser sword” or “Ree” instead of “Lee”. We fixed the vast majority, if not all of them – they could be found in various menus, the title screen introduction and the credits. Interestingly, the names of aliens are all in caps, which was likely done to distinguish them from humans. Unfortunately, the characters were not named in the messageboxes for some reason, which somewhat hindered comprehending who is who. We decided to rectify that issue, and so we added names to all main characters. 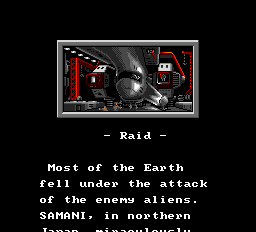 As it’s mostly the case for 8-bit era games, the first challenge was to extend the ROM space and move translated text there. In this particular game it wasn’t THAT challenging though. The game initially had all the dialogues text stored in two 8KB blocks (standard memory page for PCE) and selected them by checking the level number. The game has 10 levels, so it checked whether the level number is equal to or more than 6, and then it would select a different block. The most logical thing to do was to write a little ASM-hack that just used a level number to select memory block and do 8KB blocks per each stage. Which I did, expanded ROM space by 128KB (80KB for dialogues, one extra for mission intro text and others as a reserve). Then I realized that game doesn’t work on any emulator other than Mednafen. It also didn’t worked on the HW console. I didn’t have much experience in PCE romhacking before, so I wasted quite a bit of time just to learn that this game is special – it is 384KB in size, and it needs ROM mirroring. Emulators were detecting the game size and did it automatically, but when I extended the ROM, they couldn’t do it anymore. So I did ROM mirroring for this ROM myself (take the first 256KB of the ROM and add the full ROM after it) and then extended the ROM. Making it almost twice as big in size just to add extra 128KB, wow! Anyway, that worked as well as my ASM hack. Then we proceeded with translation. However, there were still two problems left: 1) English characters’ table lacked a few characters (like apostrophes, commas, etc. ), 2) in-game menu and title screen were on Japanese and consisted of images. So I had to hack the graphics. And then things turned out to be real ugly. It was apparent that graphics were compressed, but the compression mechanism was pretty complicated to say the least. Or rather – it was written in such a way that it was really hard to understand its functioning. We spend a week trying to understand it, just to realize it was some crazy RLE variation. First of all, it read only 4 bits on each data access, meaning that each byte was read twice, first time for high 4 bits and then for low 4 bits. So in these 4 bits was either the control (how many times to repeat it) or the “data” part. The data part was added to 4 bytes in the memory, changing them by adding four bits to these bytes using byte-shifts. These four bytes, in turn, were used to make two 8-pixels lines in 8×8 tile, two bytes per each line (two bit planes of 4bpp image), so the next iteration adds remaining two bitplanes to these two lines, and then it cycles to make the other two lines and so on. The most crazy thing about this algorithm is not only how strange it is, but also that it’s not that effective at all – it only gives about 20-30% compression, but it was complicated enough for the PCE to be unable to do decompression on-fly – terrain and mech pictures that dynamically changes in the gameplay are stored in uncompressed form in the ROM. Another pain in the neck was the title screen which was done using sprites. Sprites work differently on PCE, so not only did we have to adapt to the changes, but we also had to understand how that wonderful compression mechanism does its job with regards to sprites. It took us another week or so to figure that out. Graphics decompression and compression routine was coded by Miralita. On a different note, when we were able to modify graphics, we also went with the 8×8 font instead of 8×16 which was originally used in the game. That gave us 5 lines in messageboxes instead of the original two. So, we used this advantage to add character’s names to the dialogues, something that the developers missed for some reason. I hope you’ll like this change. One more thing that was changed were the commands themselves – we went with the icons because of the lack of space/ugliness of the font in that part. They should be fairly recognizable though.